Facebook will share political ads linked to a Russian troll farm with Congress, in a reversal of its earlier claim that it could not share the ads because of its obligation to protect user privacy. CEO Mark Zuckerberg announced the change today on Facebook Live, as well as several other changes the company is making to the way it sells political ads. “I don’t want anyone to use our tools to undermine democracy. That’s not what we stand for,” Zuckerberg said. The ads will not become public unless Congress chooses to release them. Sen. Mark Warner had previously chastised Facebook for not releasing the ads to the public. “The public deserves to look at that content,” Warner said. Facebook representatives are currently working with Congressional leadership to draw up a schedule for handing over the ads and related information, Facebook’s general counsel Colin Stretch said in a blog post. Zuckerberg also addressed Congressional calls for Facebook to be more transparent about how political ads on the platform are funded. Democrats in the House and Senate sent a letter to the Federal Election Commission yesterday asking for guidance on requiring social media companies to disclose political ad purchasers. Political ads on Facebook will now disclose the advertiser who paid for them, Zuckerberg explained. Users will also be able to visit an advertiser’s page and see who the ads were targeted to, ostensibly providing some visibility into how political advertisers target specific swing states or issues. 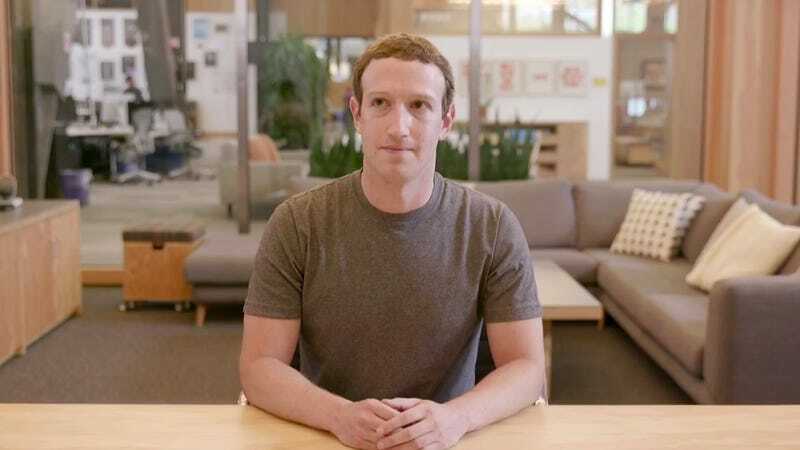 Zuckerberg said Facebook will also hire more staff to work on election security, collaborate with election commissions worldwide, and share threat intelligence with other social media companies. Update 8:30 p.m.: Although Facebook is finally moving to slow the spread of influence campaigns on its platform, some Senators see it as too little, too late. A letter circulated by Sen. Warner and Sen. Amy Klobuchar today asks their colleagues to cosponsor legislation that would enforce transparency rules for online political advertising. “The legislation would formalize, and expand, the transparency commitments Facebook has made,” the letter states. The legislation would require platforms with more than one million users to “maintain a public file of all electioneering communications purchased by a person or group who spends more than $10,000 aggregate dollars for online political advertisements.” Such legislation would of course apply to Facebook, which has more than two billion monthly active users, as well as Google and Twitter. It would also require companies to make a copy of the digital ad public, describe the targeted audience, disclose the views it received, and reveal the purchaser information. The letter also dismisses the FEC, saying the agency hasn’t done enough to keep up with the rise of digital advertising. “The Federal Election Commission, the independent federal agency charged with regulating political advertisements, has failed to take sufficient action to address online political advertisements and our current laws do not adequately address online political advertisements published on platforms like Google, Facebook, and Twitter,” it says. Facebook disclosed last week that it had sold more than $100,000 in political advertisements to hundreds of fake accounts associated with the Internet Research Agency, a Kremlin-linked troll farm.